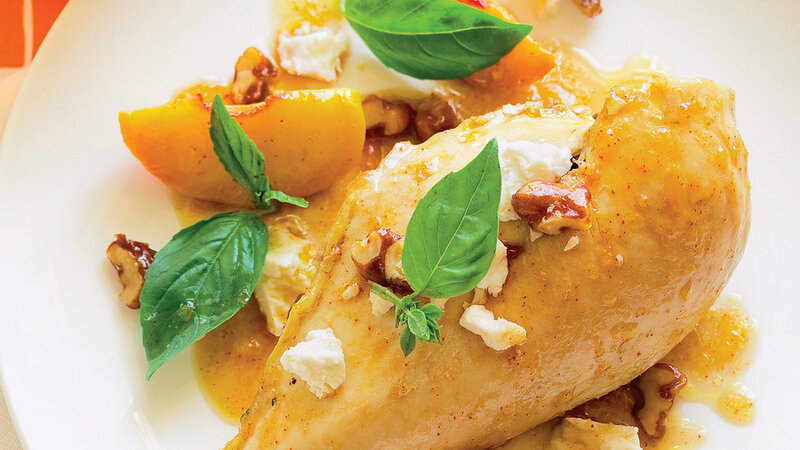 Take apricots in a savory direction with mustard seeds, cilantro, and a little chile. 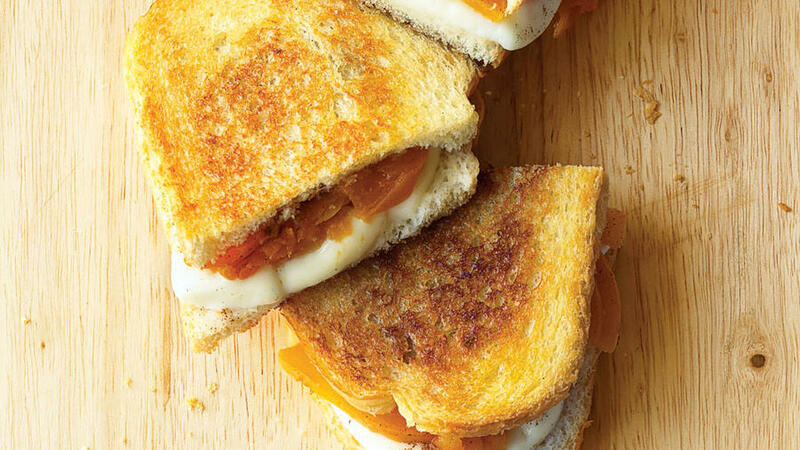 Oozy, mild melted cheese pairs beautifully with the sweet and tangy fruit. 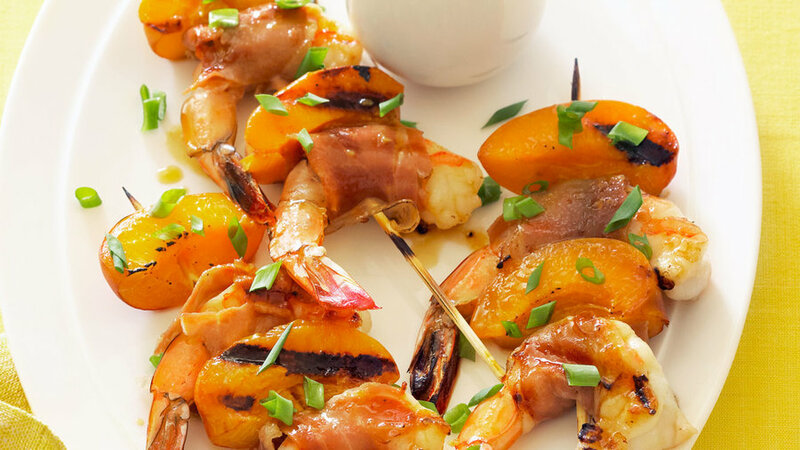 Wrap the fruit and seafood in prosciutto, add simple seasonings, and grill. 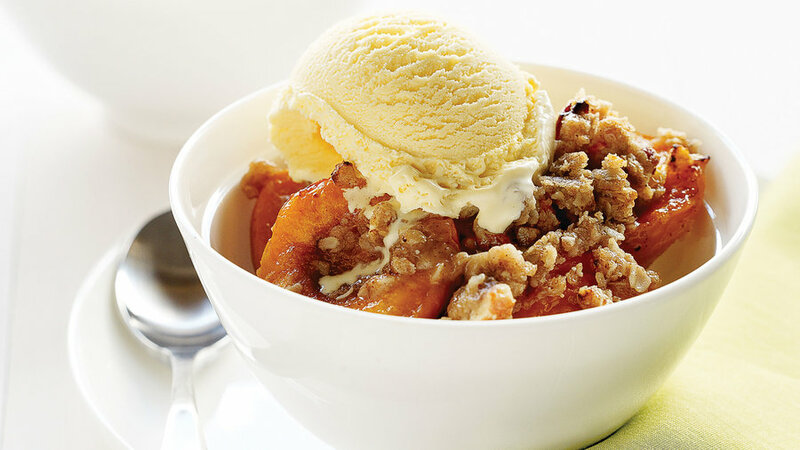 Top ripe Blenheim apricots with an easy spiced oat and nut streusel. 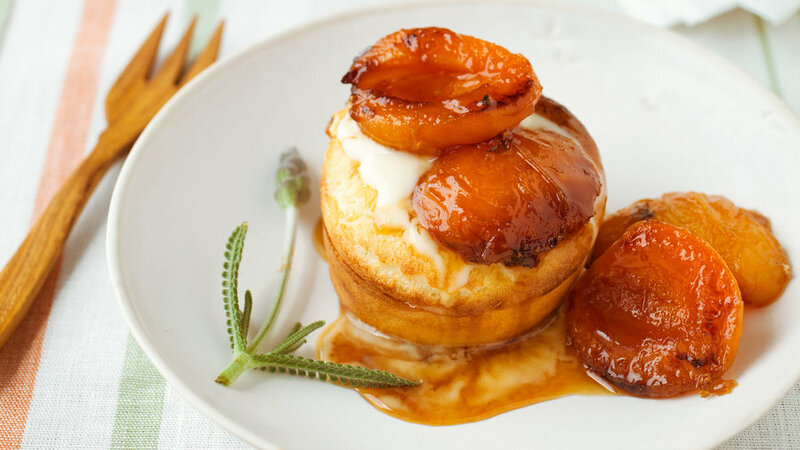 The apricots and brown sugar caramelize in a grill-top skillet as they would on a stove. Using a muffin pan produces puffs that look like mini Dutch babies. 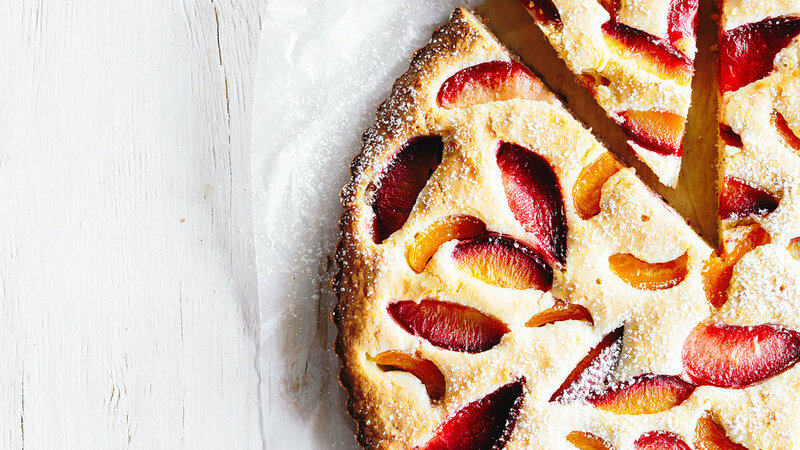 A rustic cream cheese and spiced orange crust goes over lots of fresh fruit. 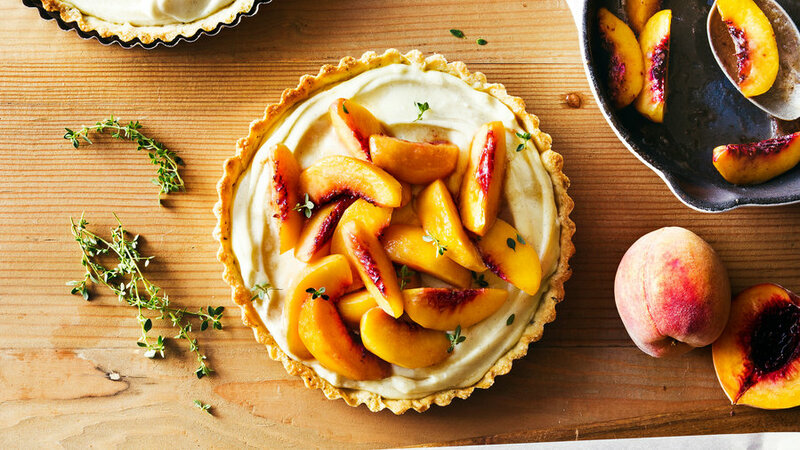 This recipe works best with the sweet, juicy peaches you dream about all year. 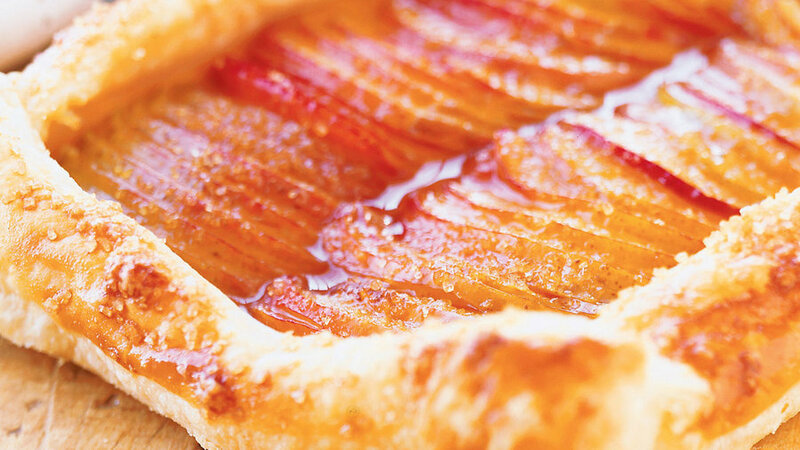 Flecks of thyme give the crust of this tart a savory spark. It brings out the lush juiciness of the peaches. 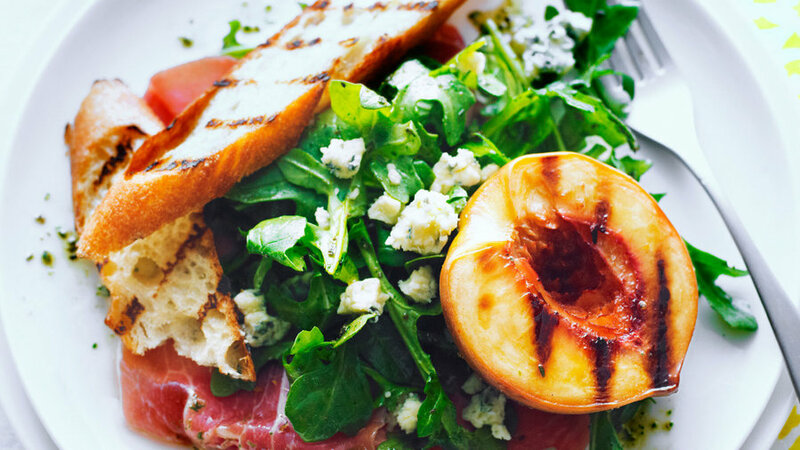 Jennifer Jasinski, chef and co-owner of Rioja in Denver, makes her salad with fresh Colorado peaches and a Spanish blue cheese, but it’s also good made with many Western blue cheeses. 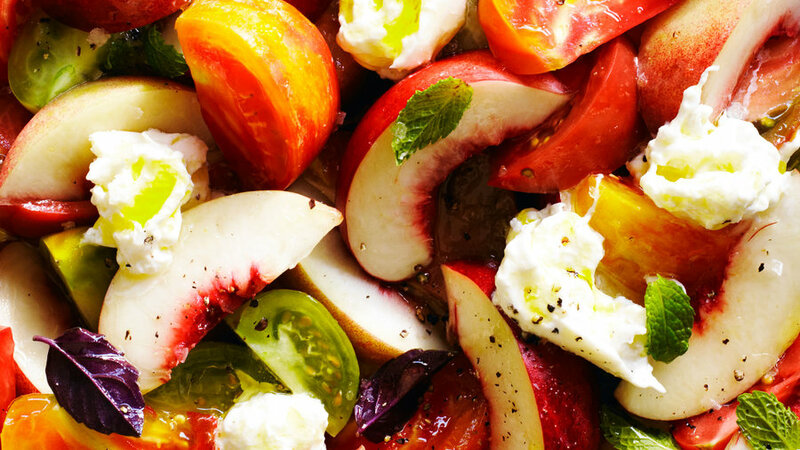 This salad combines grilled peaches with prosciutto and blue cheese. 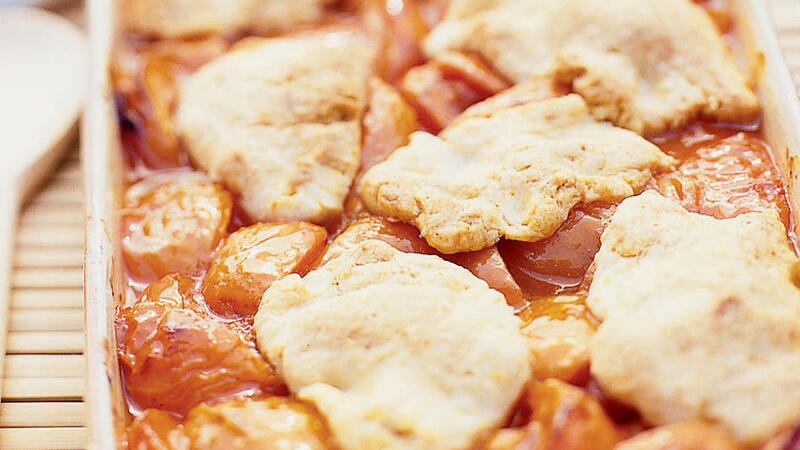 Make this pie with Sunset’s Favorite Pie Pastry, or use refrigerated pastry. Try it tonight: dinner in 15 minutes. 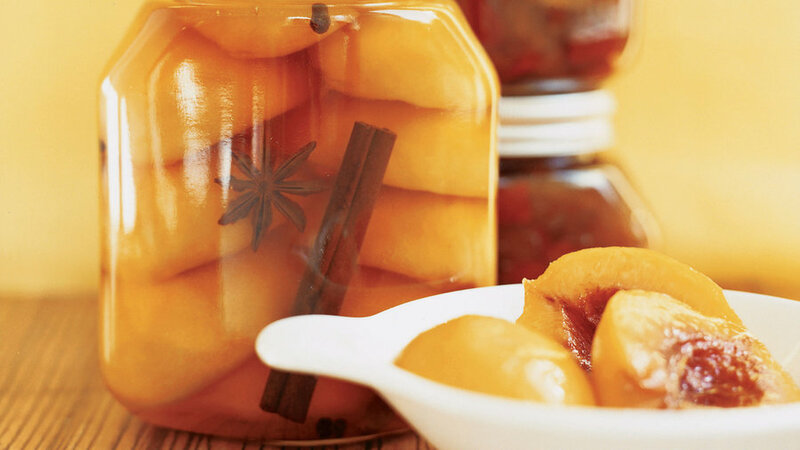 When you want to enjoy fresh summer peaches all winter long, try canning them. 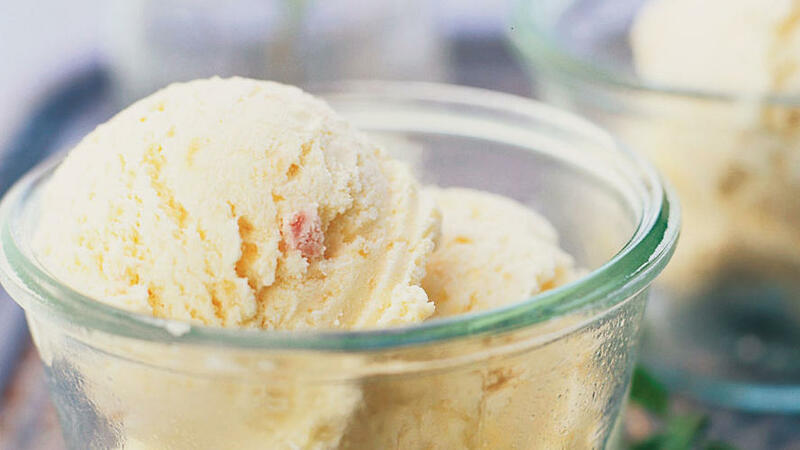 Sweetened condensed milk is the secret ingredient in this special ice cream. 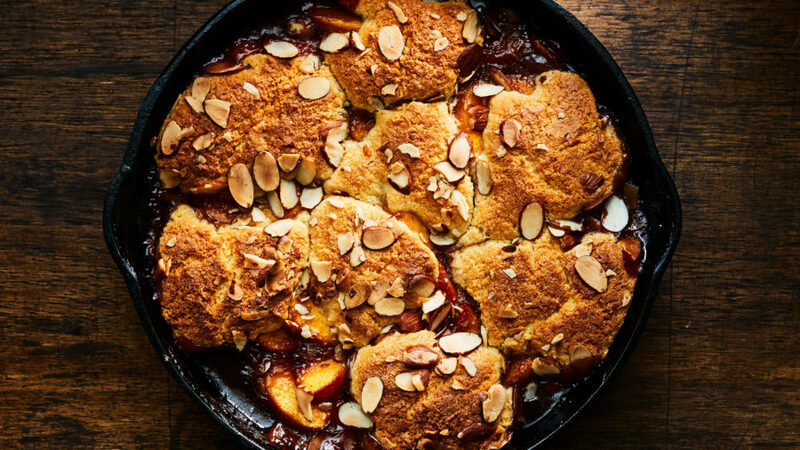 Three summer stone fruits go into this recipe. It's great over scones, in crepes, and over ice cream. 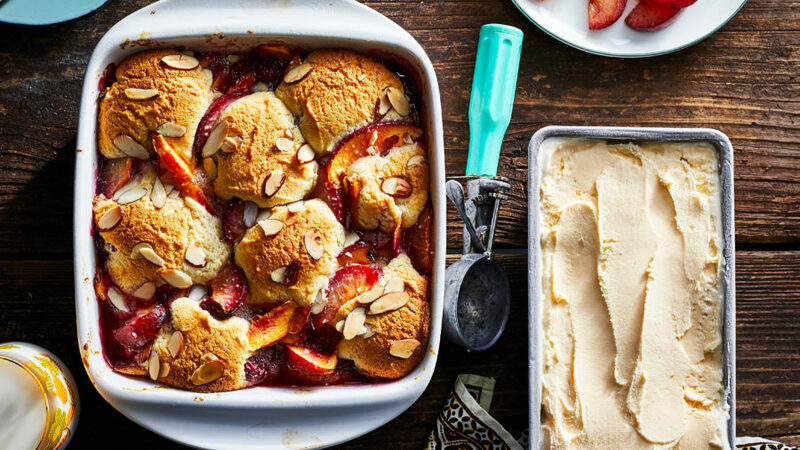 You don't have to peel the nectarines and pluots, a shortcut you'll appreciate when you just can't wait to savor this treat. 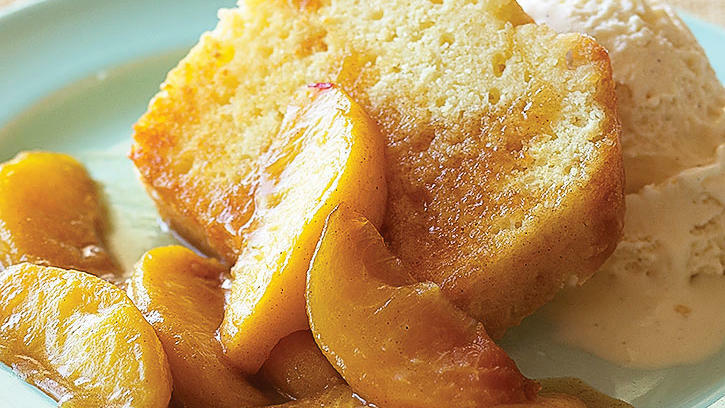 Try this last-minute dessert with a pound cake you pick up from the store. 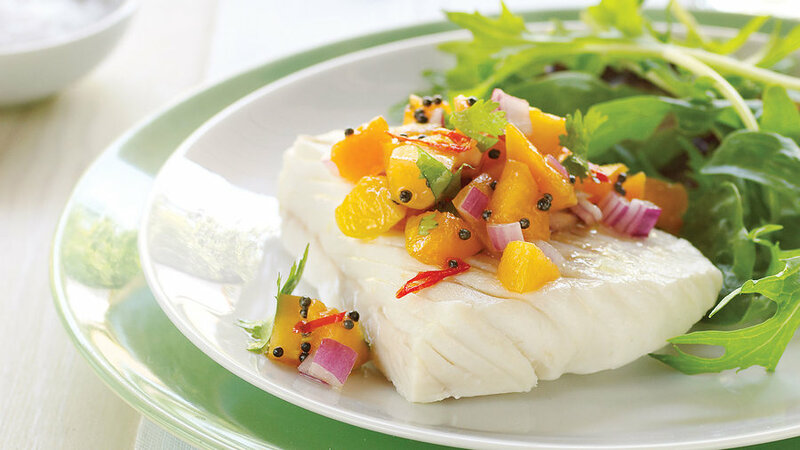 This sweet and delicately spicy summer salad would be an excellent accompaniment to grilled chicken or fish. 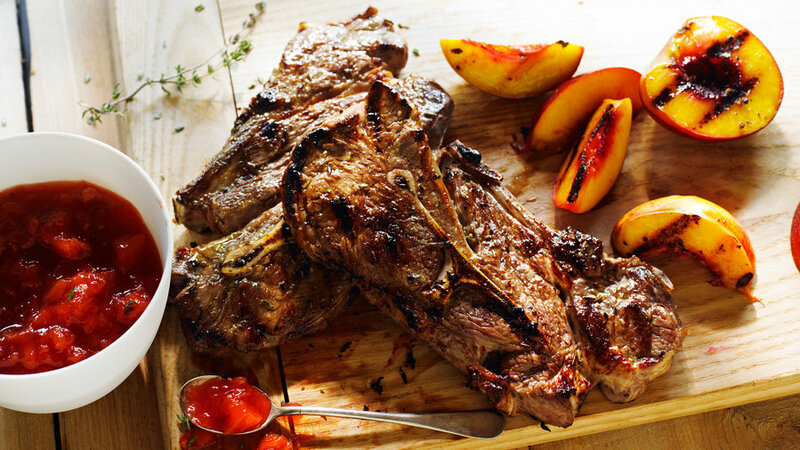 You couldn’t ask for a better partner for lamb’s mildly earthy flavor than nectarines, used here in a quick jam and sizzled on the grill. 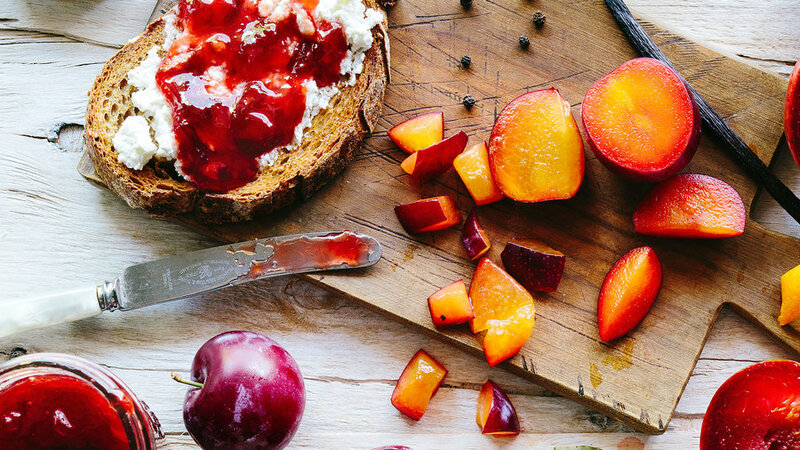 Choose fruit with red-tinged flesh for an especially pretty presentation. 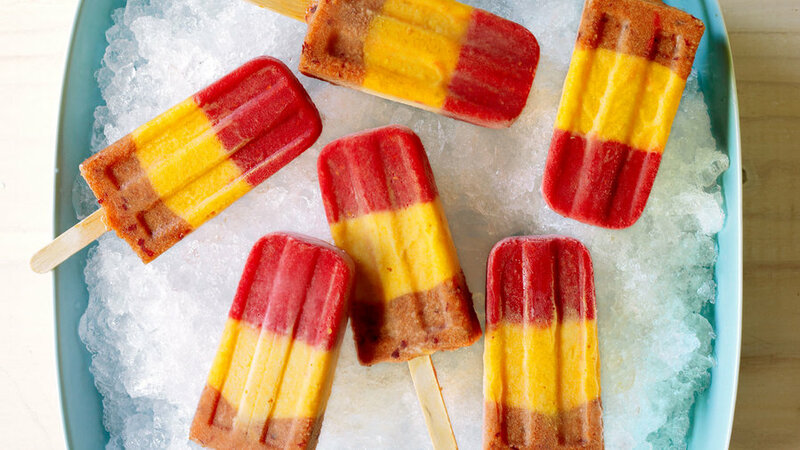 Stripes of plums, apricots, and raspberries give you 3 summer fruits in one treat. 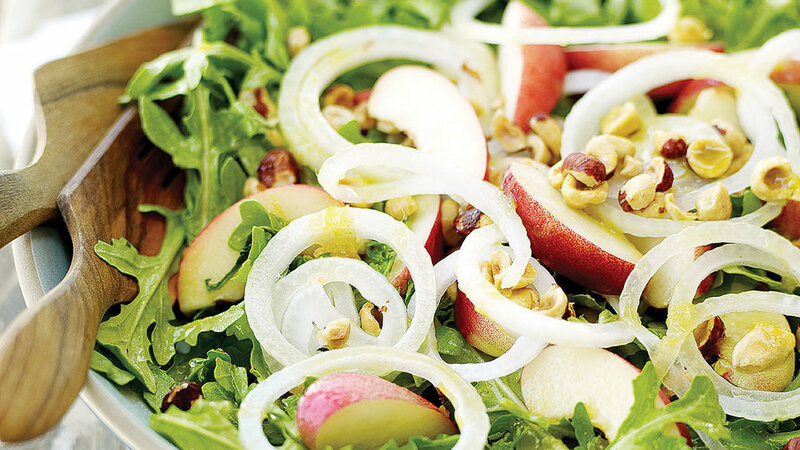 We used a variety of seeds, plus nuts and coconut, to make the irresistible topping on this crisp. 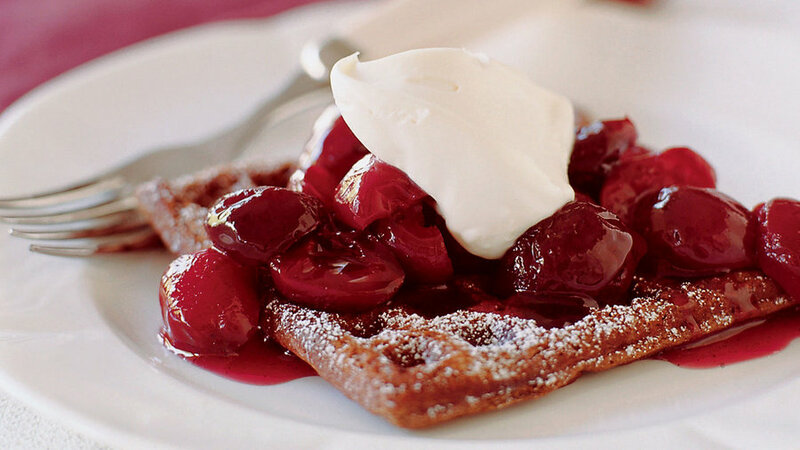 This easy dessert starts with frozen puff pastry. Subtle seasonings and a full, plummy flavor make this jam one of our all-time Test Kitchen favorites. 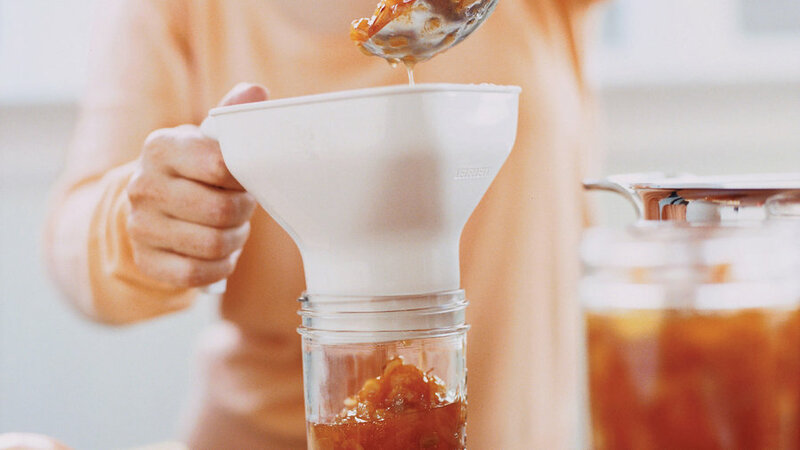 You'll need cheesecloth as well as half-pint canning jars. 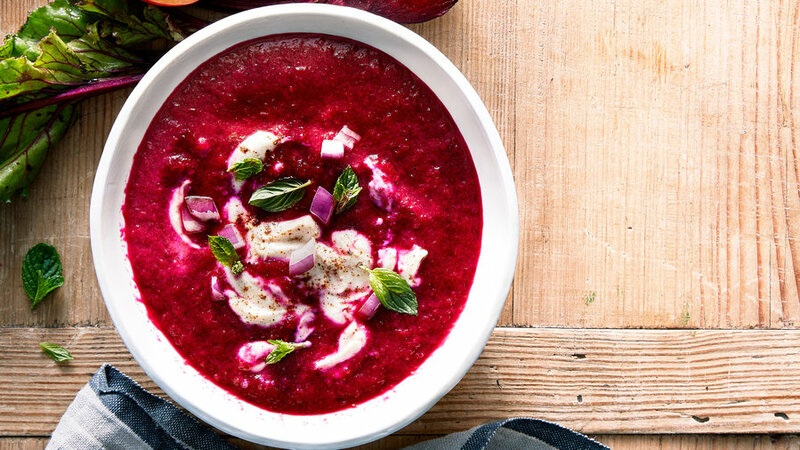 This recipe can be either refrigerated for a month or canned and kept for up to a year. Baking this buttery cake in a big, shallow tart pan ensures that the cake doesn't get soggy, even as the fruit slices remain juicy. For the best texture, make and serve it on the same day. 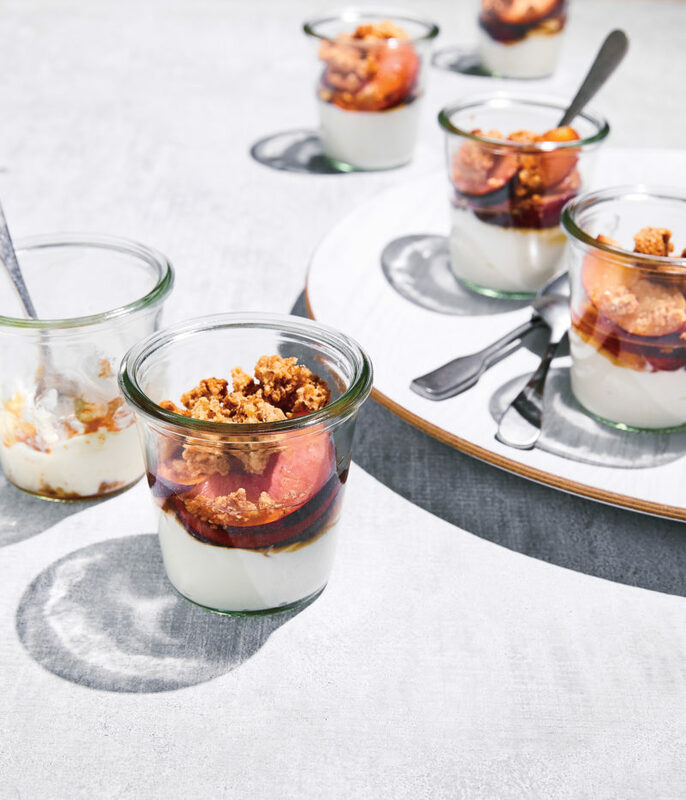 A delightful spin on a parfait that'll dazzle summer party guests. 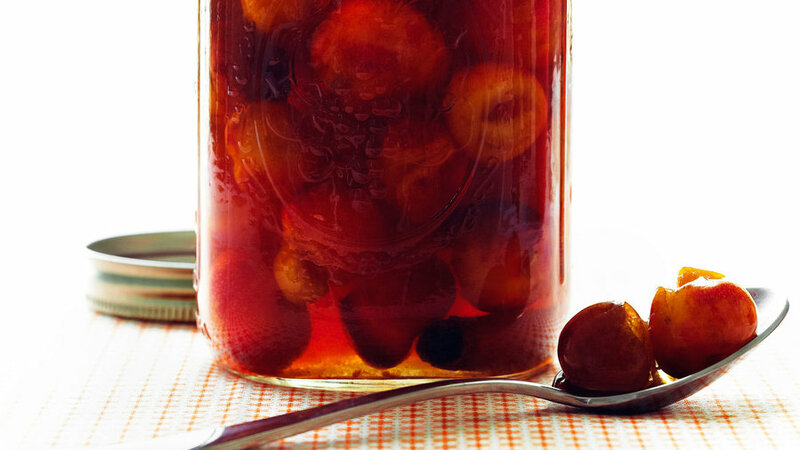 Substitute fresh Rainiers in recipes that call for dried cherries. 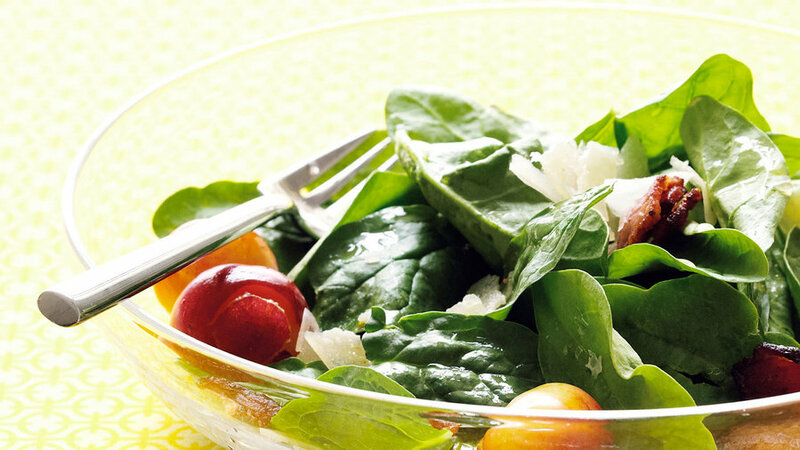 Spinach salad gets a whole new life that way. 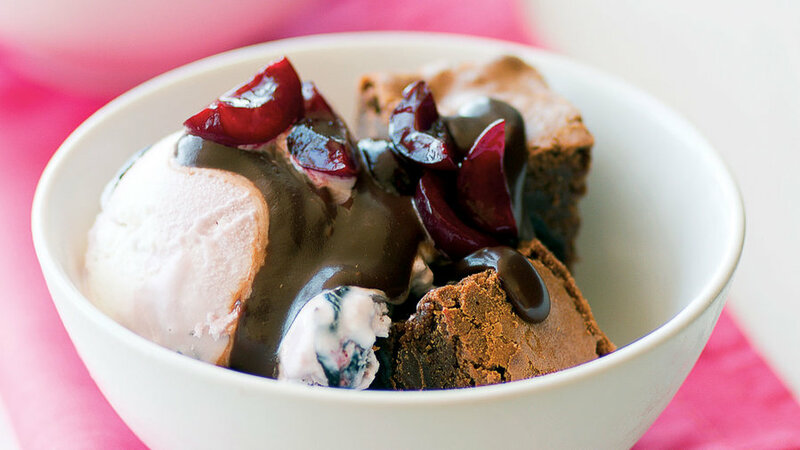 Fresh cherries cut the richness of this dense, extra chocolatey dessert. 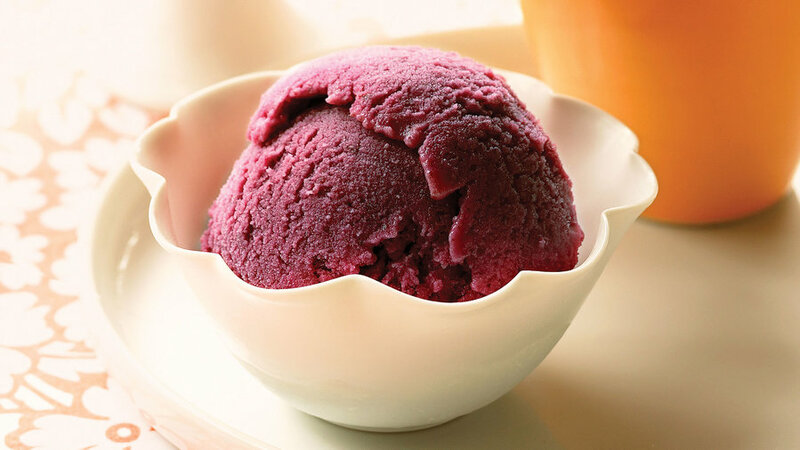 After fresh cherry season is over, you can keep making this with frozen fruit. 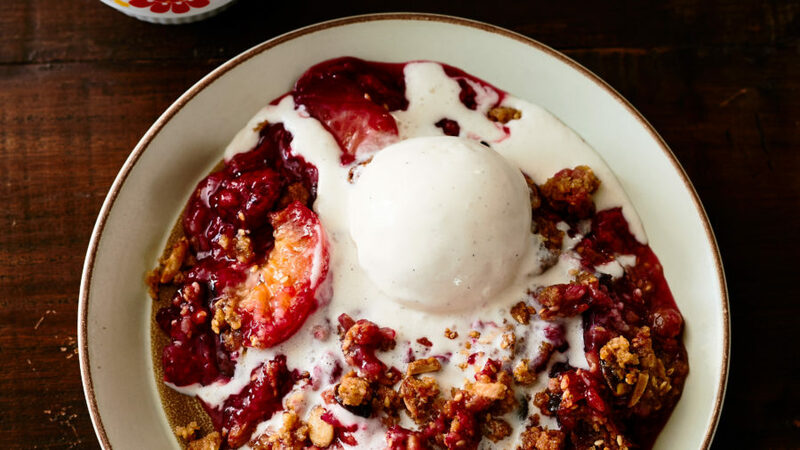 An indulgent recipe for a special summer brunch. Rainiers are stunning in cocktails in place of fluorescent maraschinos (and are great on ice cream too). They'll start to darken after a month, but will taste even better. 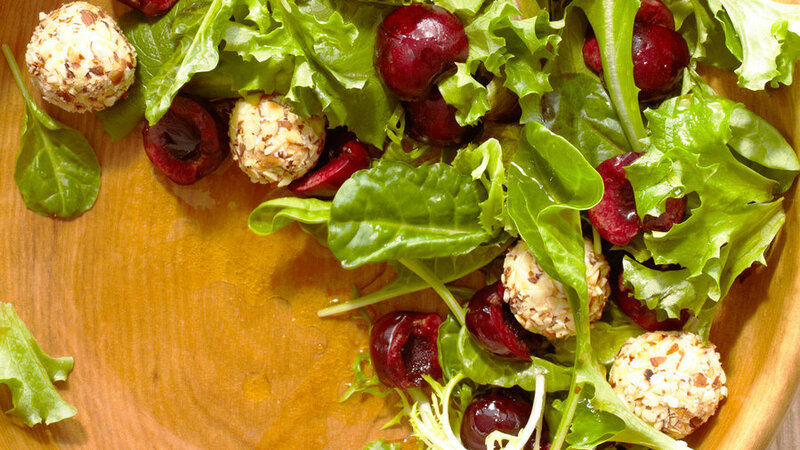 Salty feta plays off cherries’ tart sweetness in this salad. 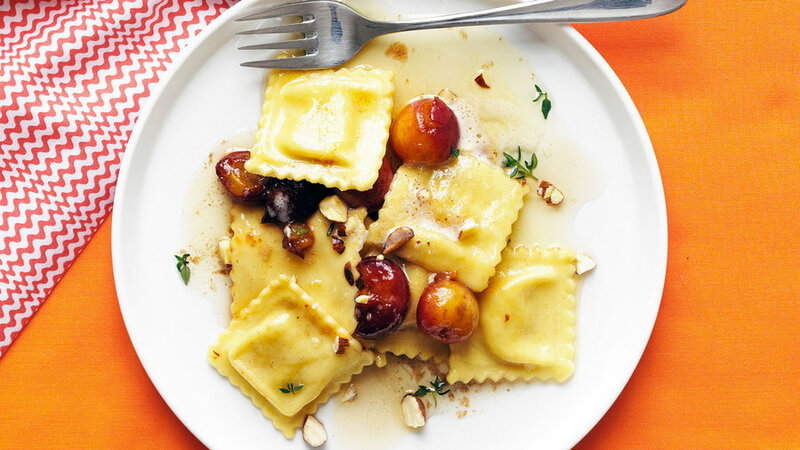 Instead of crumbling the cheese, we coated balls with crunchy almonds for more texture and a nicer look. 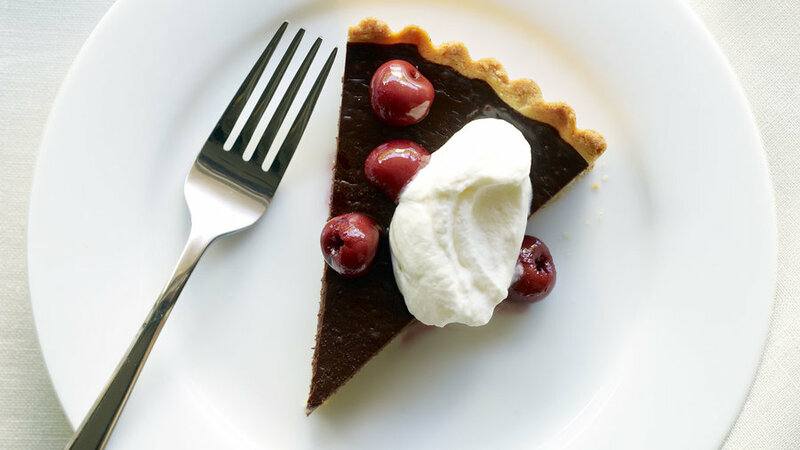 This dessert is great for backyard barbecues: Make everything ahead, then quickly assemble and serve. 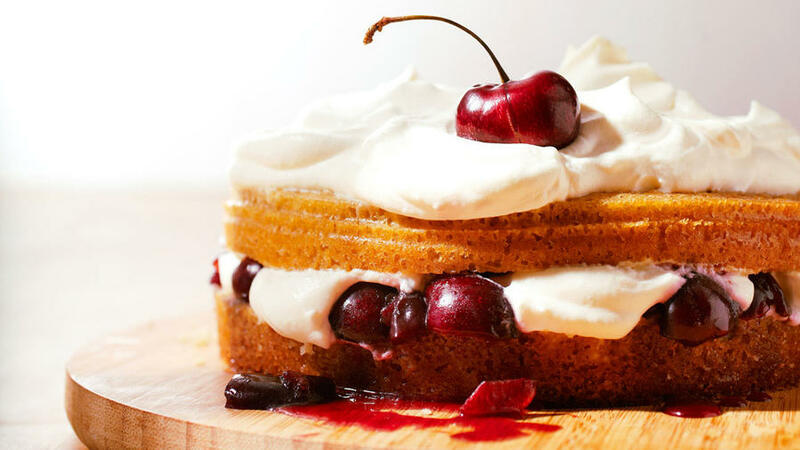 The cake is denser and more buttery than classic shortcake.